Dr. Christopher Mirucki received his Bachelor of Arts in biology from Ithaca College in Ithaca, New York in 2002. He earned his Doctorate of Dental Medicine in 2006 from the University of Connecticut School of Dental Medicine. Dr. Mirucki completed his postgraduate training in endodontics and obtained a master’s degree in the field of molecular and microbiology in 2009 from the University of Connecticut. Dr. Mirucki has been the recipient of several scholastic and clinical awards during his undergraduate dental and postgraduate training. 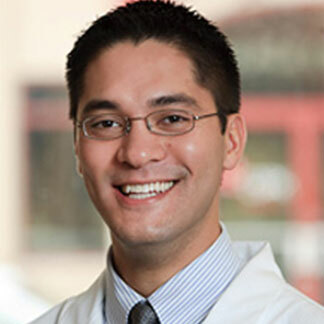 He received his board certification from the American Board of Endodontics in April 2010, achieving distinction as one of the youngest to accomplish this feat in less than one year after completion of his postgraduate education. Board certification is awarded to those who make significant achievements beyond the mandatory educational requirements of the specialty. Dr. Mirucki has also authored and co-authored several publications related to the field of endodontics with a focus on biologic principles of treatment. Recently, he was elected to the scientific advisory board of the Journal of Endodontics, where he reviews and critiques research articles related to the field of endodontics. Dr. Mirucki resides in Massachusetts with his wife Helen and two sons. He is an avid golfer and enjoys hiking, mountain biking, and snowboarding.